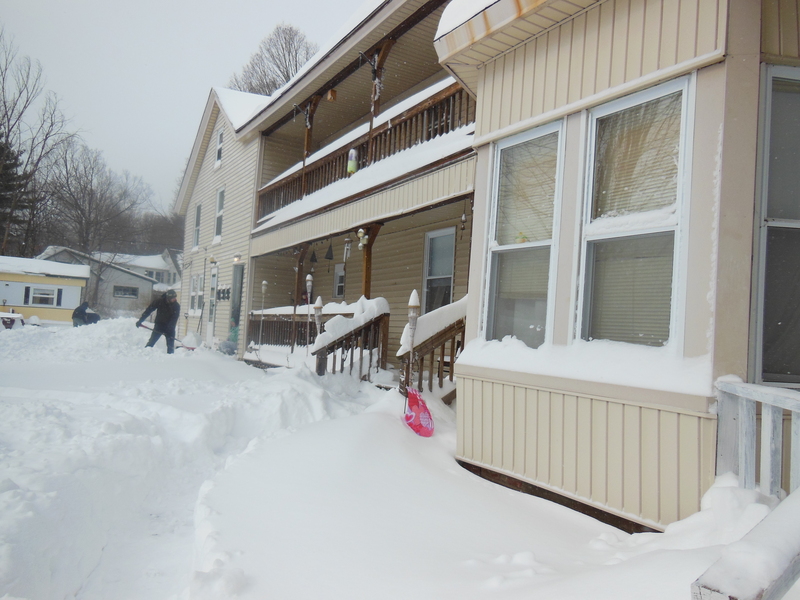 It is still snowing – but the worst is past. 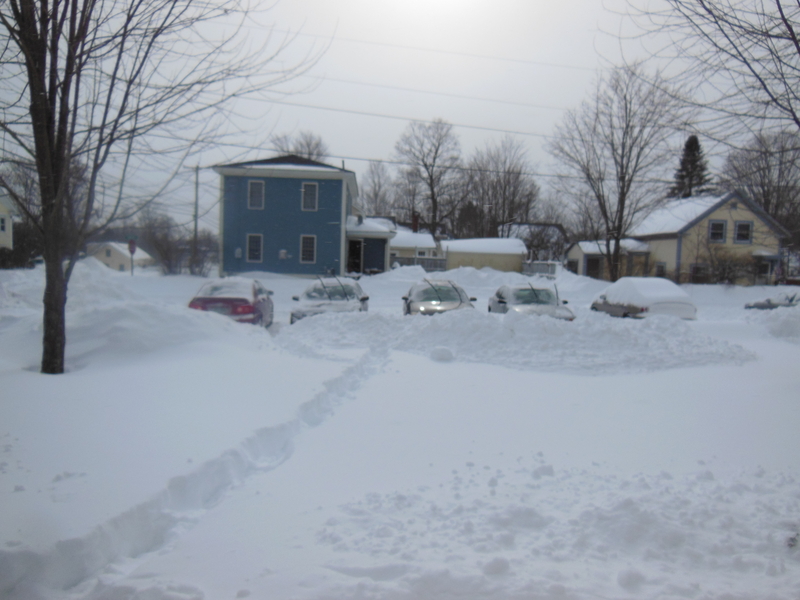 I went out to measure the snow total so far, and the average is 18 inches. The drifts are much higher. The snow was above my knees. My sister is at my parents’ house, and she stepped out into snow above her hips. 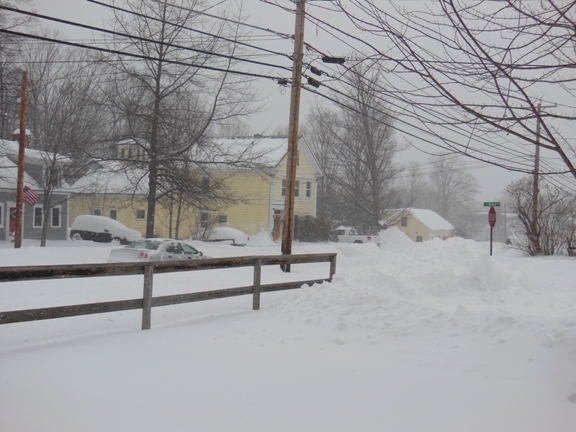 Luckily, it is very dry and fluffy snow so there are only a few hundred power outages in NH and all PSNH right now. There was one Unitil (that is my provider). 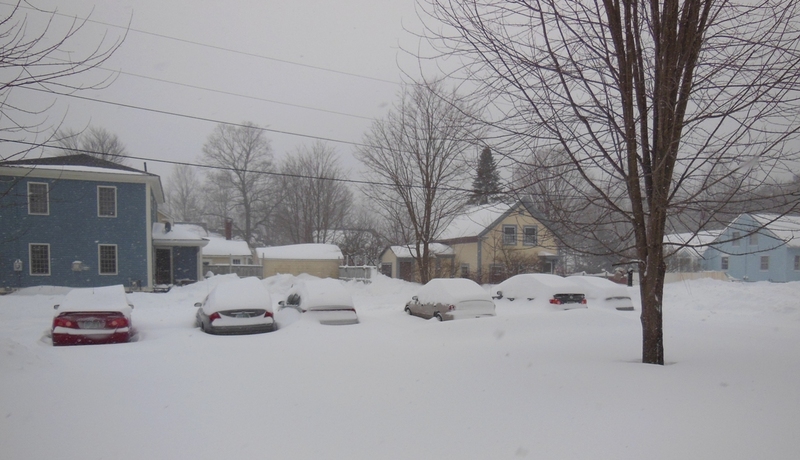 Mass is a mess because they had wet snow so they have about 400,000 people without power. 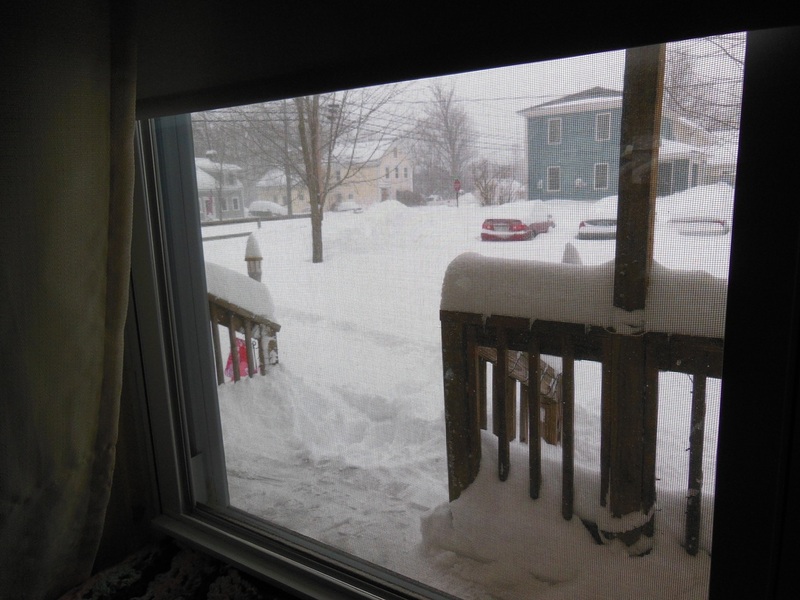 I just shoveled off my steps. I am on strike and will NOT be shoveling the walkways! It is too deep for me. 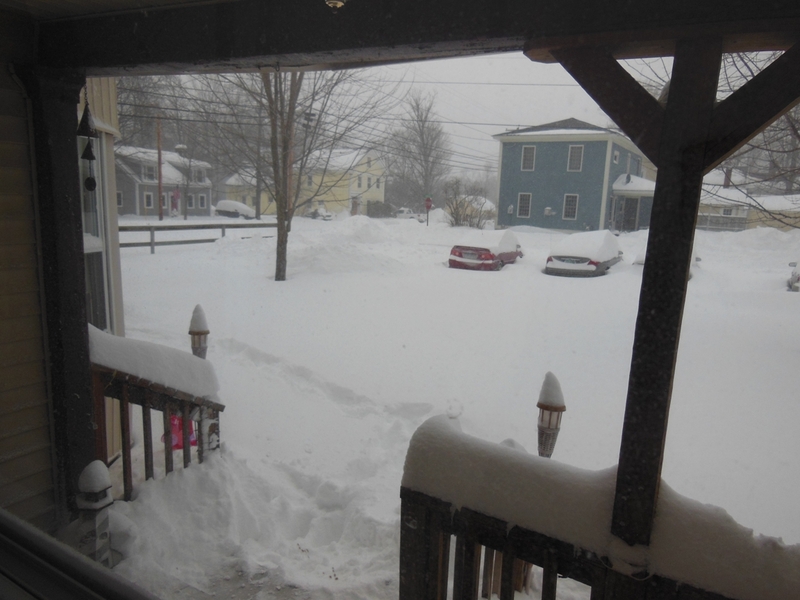 One of the young neighbors borrowed my shovel and did shovel a short path between my porch and the main porch. 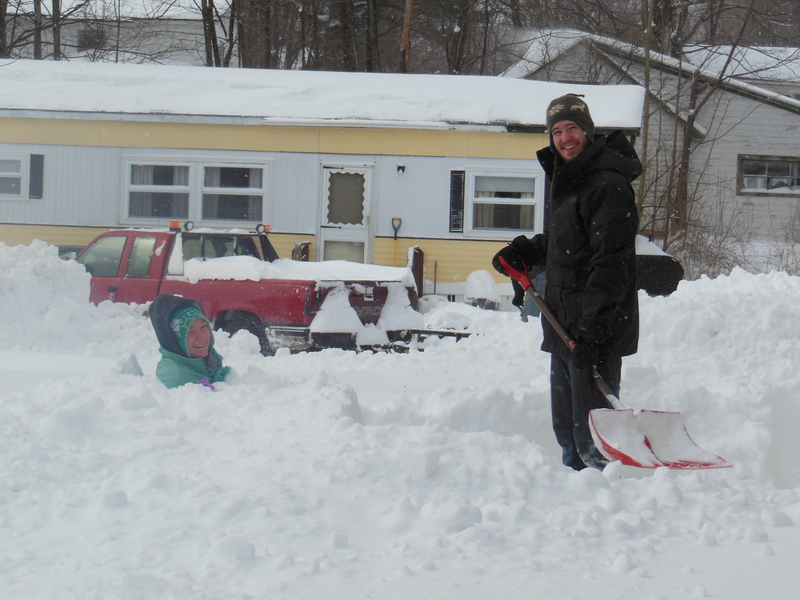 Jeff shoveling – Jillian sitting in the snow (neighbors). 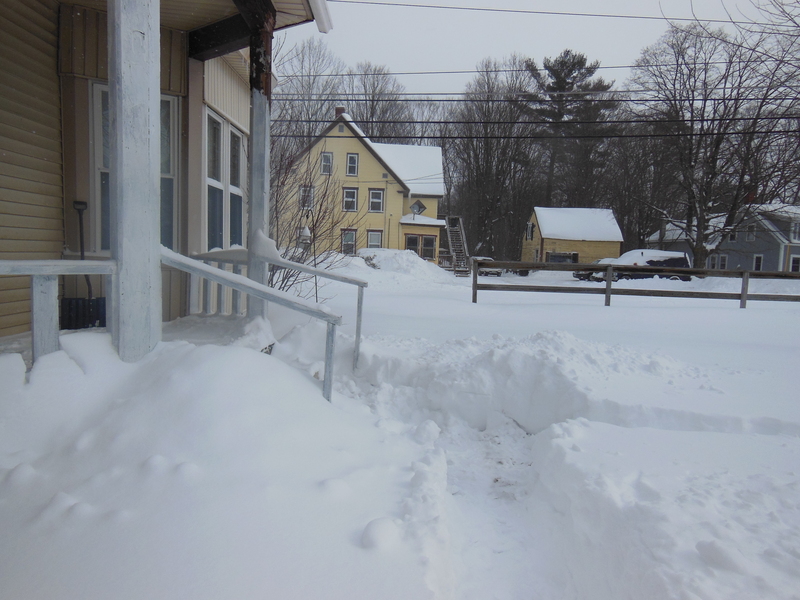 PS – Jeff shoveled all the paths for us. That was very nice of him!